Sick of the same old routine when it comes to New Year’s? Tired of those intense crowds and feelings of being squished? 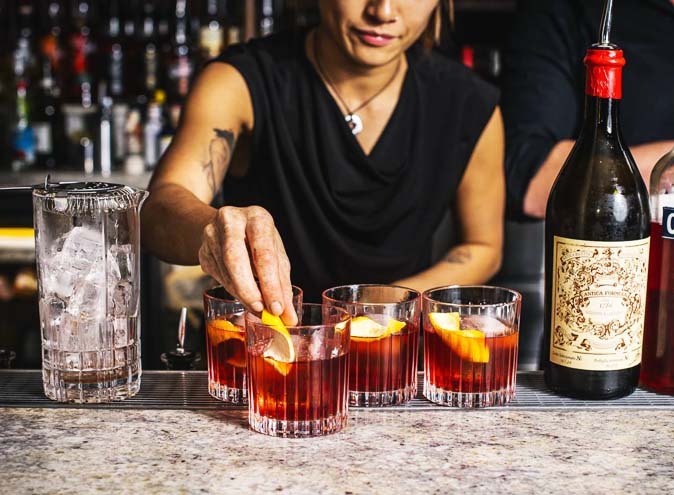 Well today is your lucky day friend cause we have compiled a groovy list of Sydney’s best parties and events to go to to ring in the New Year! They’re fun, funky and fresh that they’ll have you changing all your New Year’s Resolutions to; ‘Must go to that NYE Party again’! After its massive success last year, NYE in the Park is back, and expected to be bigger and better than ever! With this event, there’s honestly no need for us to try and build up any hype, or try and convince you to go. All you need to know is that this party will.go.off. 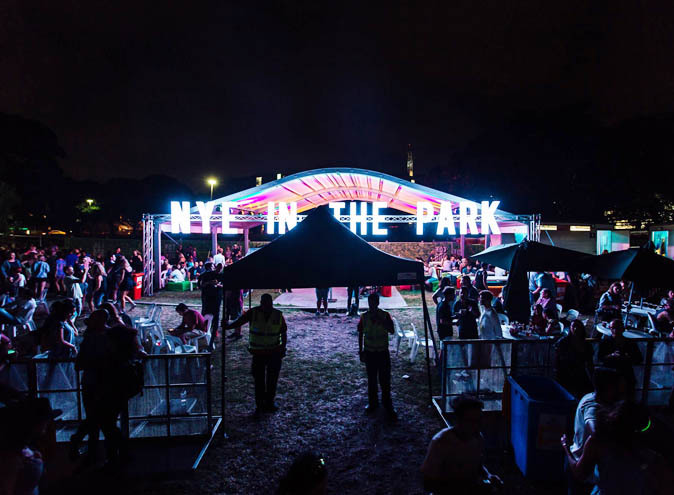 NYE in the Park is offering up a massive lineup across two stages, with heaps of room for dancing, gourmet street food, affordable drinks and a spectacular midnight fireworks display. How good is that!? Sydney’s iconic skyline is just a humble backdrop to this epic event, so you’ll be able to sit back, relax and watch the final sunset of the year dip behind the horizon. NYE in the Park offers all you party animals a unique escape from the claustrophobic CBD, and we’ll add, one that you’re not likely to forget anytime soon. For more info on this event, click here! Now here’s a New Year’s Eve party that is sure to rival the likes of Jay Gatsby’s iconic bashes! We’re taking it all the way back to the roaring 20’s, the decade where parties were at their peak in our opinion. Guests will be able to enjoy a 1920’s themed beverage and canape package, and are encouraged to break out their best flapper and charleston-esque dance moves for the live jazz band that will be belting out the hits all night long! 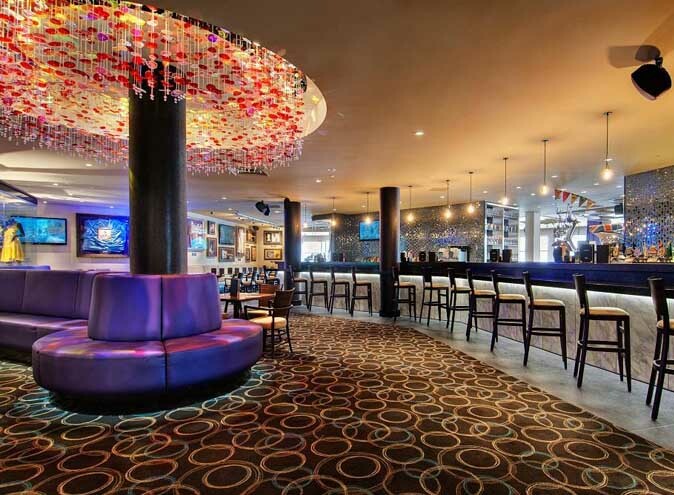 Luckily for you, this 1920’s party comes with breathtaking 21st century views, as Tower 1 is about a stone’s throw away from the ever-beautiful Darling Harbour. 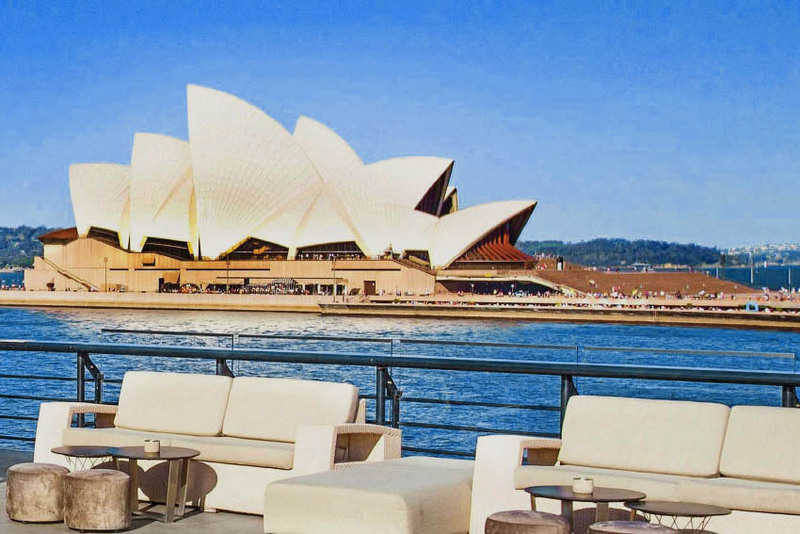 If there’s a better combination than live jazz music and stunning Sydney Harbour views, we’d like to hear it. 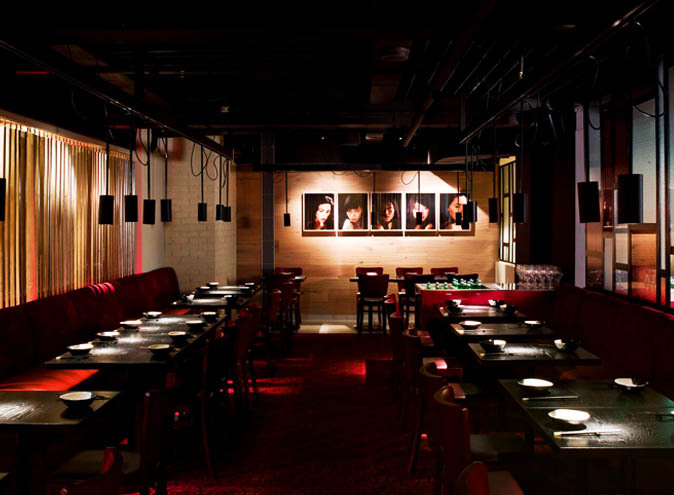 For a night of non-stop golden era nostalgic fun, this cocktail party awaits you! What better place to spend your New Year’s Eve than under the truly legendary sails of our beloved Sydney Opera House? 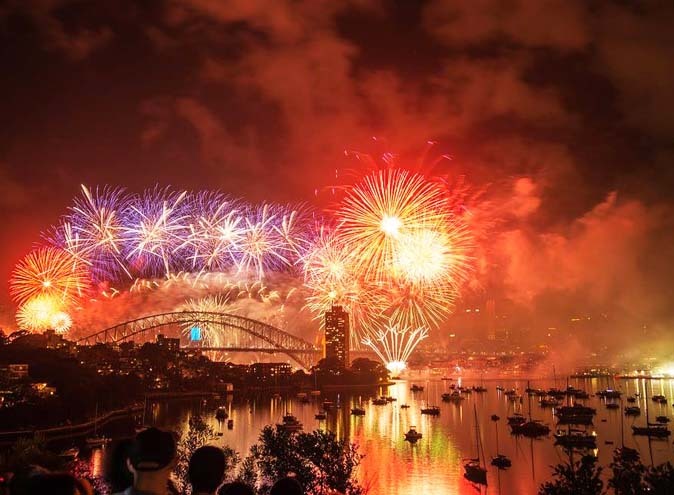 This ultra exclusive event (whose tickets are always MUCH sought after) guarantees you a front row spot for the show of the year, the world renowned Sydney Harbour Bridge Fireworks Show. 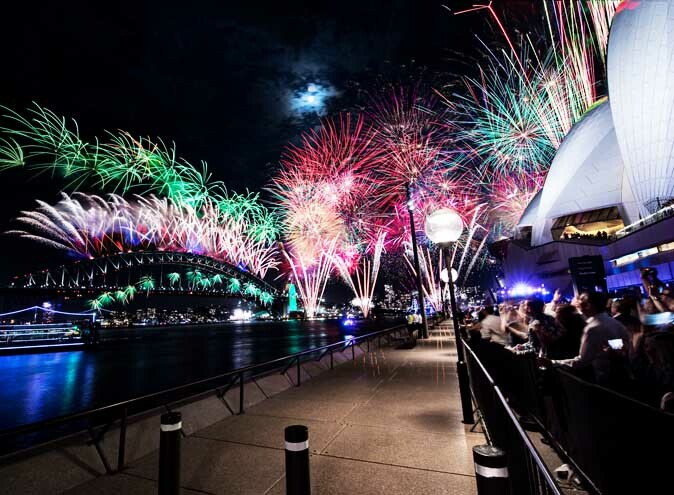 As if the perfect viewing spot for the fireworks show wasn’t enough, those lucky Golden NYE ticket holders will also have access to unlimited French champagne, beers and wines, canapes, grazing stations and the pleasure of listening to some sweet tunes from Sydney’s premier Dj’s. We know this event sounds very tantalizing, so don’t let this amazing experience pass you buy! For more info on this even, click here! Head on down to this iconic institution for a New Year’s that is sure to rock all night long! Now there’s alot of different packages on offer here so let us lay it all out for you. First up is the Dinner Package which includes a gourmet selection of the Hard Rock’s greatest grub. Everything is on the menu; starters, mains, desserts and of course it would’t be a proper New Year’s celebration without some fancy dranks. Also, this package begins at 6:30, so it would be perfect for all you funky families looking to catch the earlier 9pm fireworks show. The Drinks Package, shockingly, gets you access to all the drinks on offer! 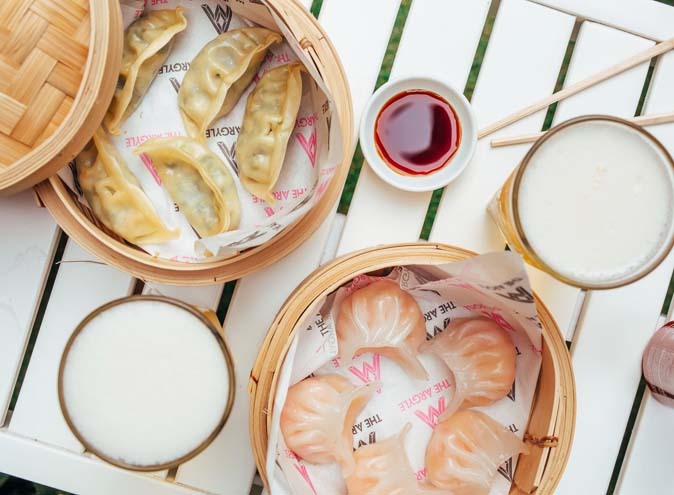 Everything from house wines to soft drinks will be at your fingertips. Finally the Dance Package, which starts at 10pm lets you live out all your ‘John Travolta in Saturday Night Fever’ fantasies, with a banging Dj-provided soundtrack, as well as full access to the bar. Having trouble choosing between dinner and dancing? Why not splurge and combine them both! Live the popstar life and make this New Year’s a rockin’ one! Luna Park welcomes you to Harbour Party 2018! What better way to make sure that your New Year’s is utterly mind melting than by having it at one of Australia’s most iconically recognizable locations!! Luna Park has the insanely good fortune of being located literally two seconds away from Sydney Harbour Bridge, aka the place to be on a New Year’s night out in Sydney!! 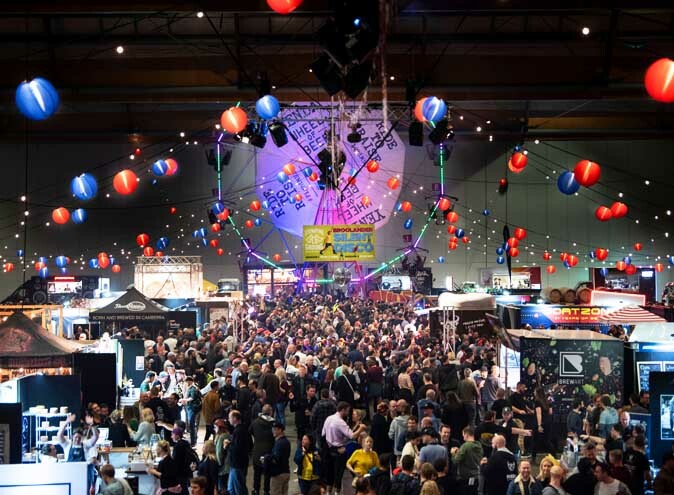 But fear not, this party doesn’t just rely on Luna Park’s prime time positioning to get by, you’ll be able to boogie on down under the Big Top too, inside which lies Sydney’s hottest party going round. Now prepare yourself, cause when you find out who is headlining, your brain will go into autopilot, and you’ll have no will of your own to stop yourself from buying multiple tickets to this epic night. Aussie royalty, legends and queens The Veronicas will be blessing us all with their presence this New Year’s Eve, dishing out classic hits and brand new exclusive tracks! Pair this with smooth drinks and free rides and you’ve got all the makings of the best New Year’s you’ll ever have!! Prepare yourself for a completely unique New Year’s experience, like no other you’ve had before. This time you won’t be standing amongst a rowdy crowd clamouring for a good view of the fireworks. This time you’ll be on a luxury cruiser, one that features in the prestigious Harbour of Light Parade, and you won’t be craning over the shoulder of a tall stranger for a view of the show. Instead you’ll be completely engulfed in them, a stunning view of the dazzling colours wherever you turn. The exhilaration of being that close to such a spectacle will be utterly unforgettable! If somehow this isn’t enough, worry not, there will also be a chic floating buffet, all the drinks you could desire and live R&B entertainment, to ensure for a dreamy night of smooth sailing. 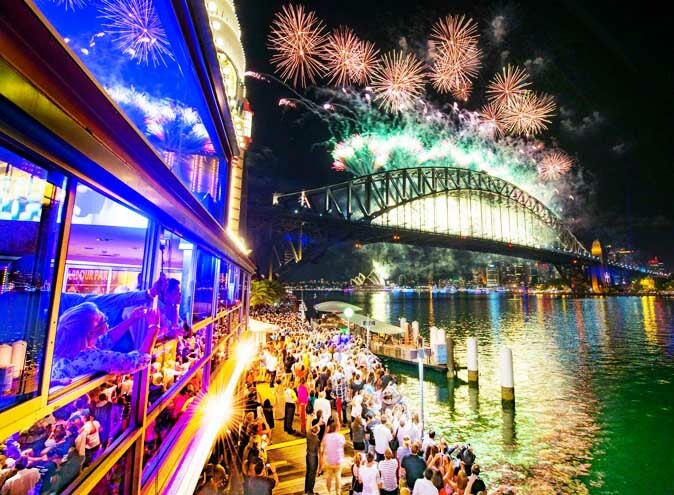 This option is sure to create very special and precious memories for all who attend, so make sure to take your loved ones, so you can all enjoy everything that Sydney’s New Year celebrations has to offer.